As we get gear up for the 2009 NACCM: Customers 1st Event this year, we're going to be interviewing and getting to know the speakers and sponsors who will bring their perspectives on customer service to you. We recently sat down with chair Kathleen Peterson to talk about the event, both today and what has changed since she first chaired it back in 2003. This podcast will have six part, so check in next week for part two. When you chaired NACCM last, NACCM has really grown up and evolved with the industry. Now it’s all about the attendee, creating a customizable, interactive experience. Tell us why you’re excited to return as chair this year and why you think this event is a MUST attend for all customer-centric leaders, particularly this year. 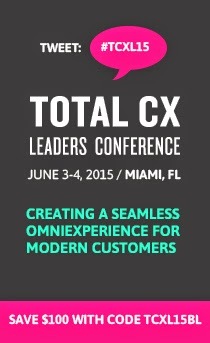 I’ve always felt that this conference was the most focused experience for customer management leaders. It’s always been about the customer experience across the board and I think that when we look at what this current state that we’re in, it’s become more important than ever for professionals to come together to experience not only the experts but the networking and the one another and the bouncing ideas off of each other. This is really the opportunity for leaders to develop themselves more. A lot of the training and the leadership that these folks provide is often not returned within the enterprise which forces them to seek that kind of learning and overall learning experience externally. And of any conference that anyone could ever go to if the mission is to learn not only what theories are out there, but what realities and what practices have yielded good solid results, this is the only conference to do it at in my experience, and I have seen plenty of them.